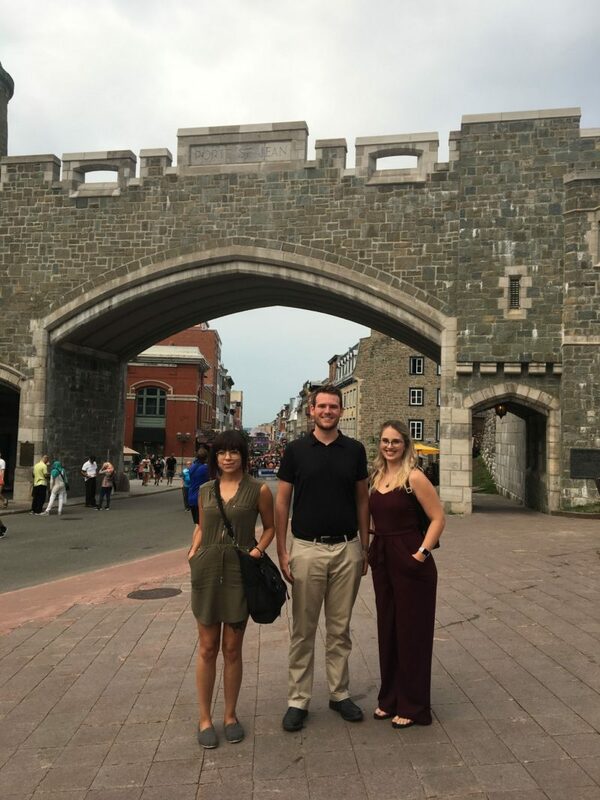 Candice, Adam, and Mary presented their research at the joint International Geographical Union and Canadian Association of Geographers Meeting in Quebec City, from August 6th to 10th, 2018 . 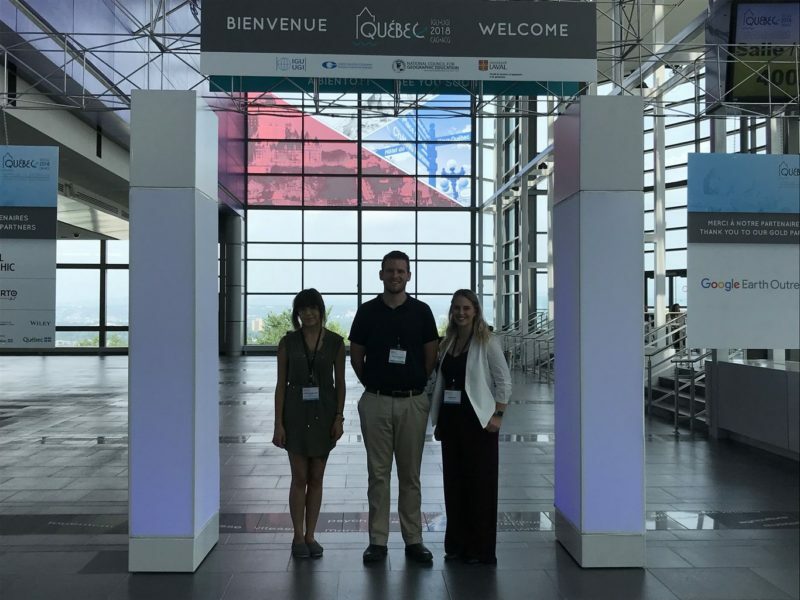 Candice, Adam, and Mary at the 2018 International Geographical Union conference in Quebec City. 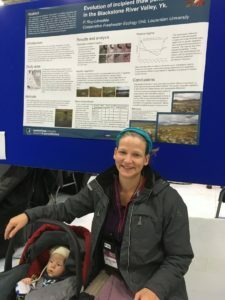 Candice presented a poster with the results of her BSc thesis work on permafrost distribution near Fort Severn, ON and Mary presented a poster on her MSc thesis work on the effects of increased moisture on the thermal regime of the active layer. Mary (left) and Candice (right) discussed their work with other conference attendees during the poster session. 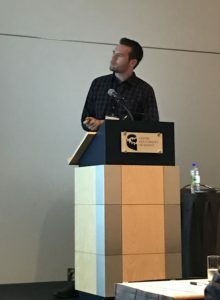 Adam presented a combination of his BSc and MSc thesis results in an oral presentation that took place in the Natural Hazards and Climate session. The abstract is available here. Adam presenting his BSc thesis results along with some preliminary results from his MSc during the session on Climate and Natural Hazards. Once the hard work done, everyone enjoyed some time to visit Quebec City. 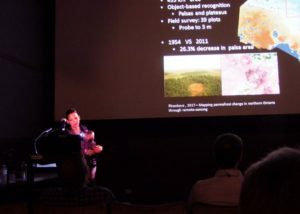 Pascale gave the opening talk for the thermokarst lake session on Thursday the 28th. 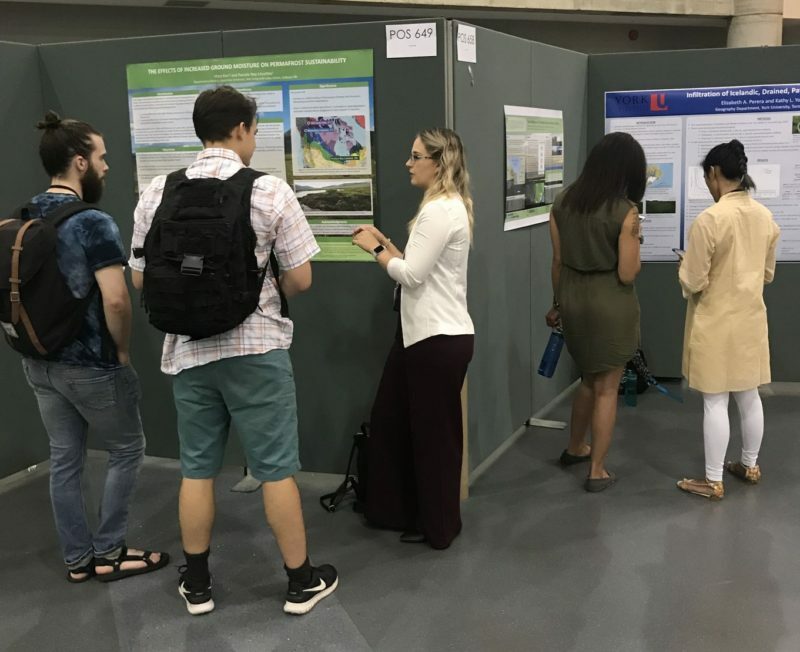 She presented a discussion of the influence of vegetation structure on the geomorphic evolution of thermokarst lakes in the forest tundra transition. Adam presents to a full room a EUCOP, it was difficult to get a photo! 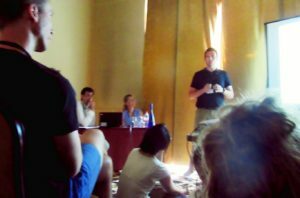 Adam attended the PYRN (Permafrost Young Researchers Network) workshops along with approximately 170 young researchers from June 22nd to 24th. 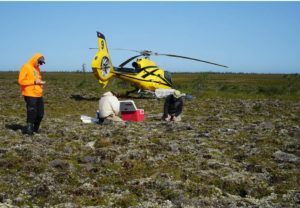 He presented his undergraduate thesis research on greenhouse gas production production potential from degrading palsa fields of the Hudson Bay Lowlands in the session on permafrost peatlands, on Tuesday the 26th. The room was overflowing, with people sitting on the floor and filling the hallway in front of the door. Pascale and Adam attended the Up North on Climate Conference in Thunder Bay, April 24 to 26. 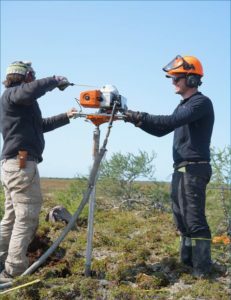 They presented as part of a panel on peat and permafrost along with Nathan Basiliko from Laurentian University, Maara Packalen, and Jim McLaughlin from OMNRF. The conference was a concluding event to the work conducted by David Pearson and his team in collaboration with MIRARCO‘s Climate Change Division and northern Ontario communities to improve preparedness for the consequences of a changing climate. The conference was well attended, with representatives from more than 50 northern Ontario First Nation communities (out of 88 communities in the north of Ontario), as well as members of provincial and territorial governments and university-based researchers. Elders panel at Up North on Climate Conference in Thunder Bay, April 2018. From left to right: Josephine BigGeorge, Mike Hunter, Bellamie Bighead (translator), Joel Bighead, Wilfred Wesley, and David Pearson.